Love Inspired Historical, 9781335369581, 288pp. 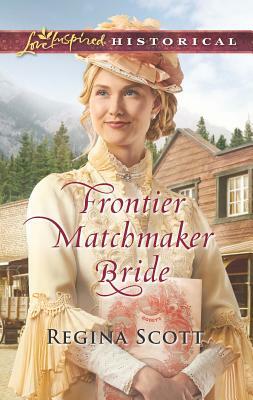 The Lawman Meets His MatchSuccessful Seattle matchmaker Beth Wallin has her most challenging assignment yet--find Deputy Hart McCormick a bride. Beth's still smarting after the handsome lawman spurned her affections a year ago. But if she finds Hart a wife, Beth will gain favor with the city's most influential women...and perhaps free her own heart, as well.Marriage is the last thing on the deputy's mind. After tragically losing his sweetheart, he vowed never to love again. But as sweet, spunky Beth introduces him to potential fianc es, Hart finally feels a spark...for her The stubborn bachelor will be Beth's first matchmaking miss, unless they can both admit that she just might be his perfect match.